Speaking up in the classroom can sometimes be daunting, but for conservative students like Kennedy Borman, social pressures from predominantly liberal students and faculty can be silencing. 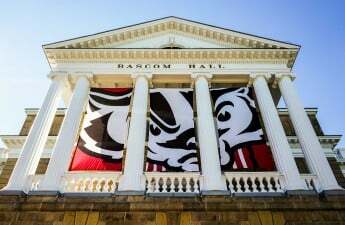 Last year Borman, a junior majoring in political science at University of Wisconsin, had a sociology professor who repeatedly made disparaging remarks and jokes about Republicans. At first, Borman avoided speaking up in class, but eventually stopped going to class altogether because of what she described as overt hostility. She made the decision after the professor spoke about religious people, specifically religious Republicans as though they were all bad people. Borman isn’t religious, but the caustic remarks toward religion didn’t sit well. The story Borman tells is familiar to many students at UW, both in and out of the classroom. Online, some people don’t speak out for fear of being openly disparaged by their peers, but in discussion section it’s the silence and hostile stares that some conservative students say stifle open discussion. Emelia Rohl, the spokesperson for UW College Republicans, said she doesn’t usually self-censor, but she understands why many of her conservative friends choose to. It’s difficult for many students to muster up the courage to speak on complex issues in front of their peers, and Rohl said this is compounded when a conservative student knows the majority of the class doesn’t agree with their opinion. Here, Rohl points to her membership in College Republicans as an opportunity for conservative students on campus to be with other like-minded individuals. Hopefully just meeting with other conservatives gives them enough courage to speak their mind during the next discussion. This phenomenon of self-censorship isn’t unique to UW. A 2010 study by the American Associations of College Universities found that while 40 percent of freshman thought it was safe to hold unpopular opinions, only 30 percent of seniors thought the same thing. It isn’t only students who choose to self-censor on university campuses. In his recent book “Campus Politics,” professor of history at the University of Pennsylvania Jonathan Zimmerman points to a tendency among professors to hide their political views, especially among conservatives. He pointed to one survey that showed one-third of professors reported omitting prior work experience on their resumes that might “out” them as a conservative when applying for academic positions. This isn’t surprising given more than 60 percent of professors nationwide identify as some liberal, according to a 2015 study by Colby College professor Neil Gross. 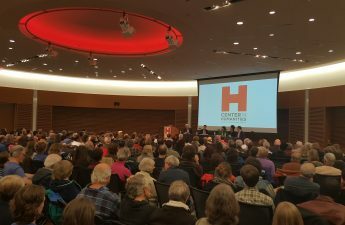 UW professor of political science Donald Downs, a conservative, said he doesn’t see many examples of full scale self-censorship among faculty he knows, but that doesn’t mean the pressures don’t exist. Downs believes faculty choosing to censor their viewpoints is a product of more than just the perception of an overwhelming liberal majority. The type of professor, their academic environment and tenure status are all factors that can lead someone to refrain from engaging in open discussion on difficult topics, he said. “Is there a lack of intellectual diversity on campus? I think there’s no question about that,” Downs said. Conservatives take certain issues more seriously than others. Because of this, Downs believes UW and other institutions stand to gain from a more ideologically balanced faculty. But the jury’s still out on how to lessen the disparity between liberal and conservative professors, and whether it’s even possible or necessary. In 2012, Colorado University announced $1 million in funding to a hire a conservative professor, which succeeded in hiring a conservative professor but has not been widely replicated. “Is there a lack of intellectual diversity on campus? I think there’s no question about that.” Donald Downs Downs said solutions such as this, which some might describe as “conservative affirmative action,” don’t really work. Professors might construe themselves as conservative just to get hired and sometimes the best candidate for certain positions might not be a conservative. But a lack of conservative professors isn’t the only way to look at intellectual diversity. 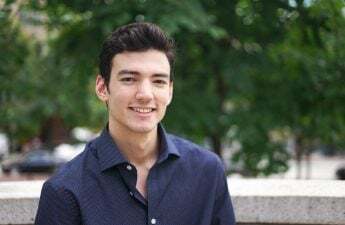 Cody Fearing, a senior at UW majoring in sociology, said part of the lack of diversity in thought comes from a shortage of professors of color. 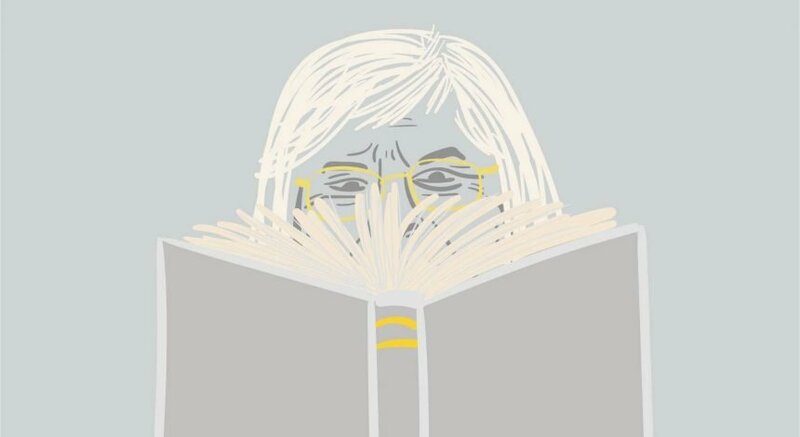 Fearing believes intellectuals from communities of color and marginalized groups are rarely found at the center of course curriculum. “Whether it’s in STEM, the humanities, literature, everywhere you have to have a specifically designated course for those minds and voices to be centered,” Fearing said. Another roadblock to intellectual diversity at the undergraduate level, Zimmerman said, is the lack of personal investment in class work from both undergraduates and professors in general. Zimmerman said because both students and professors spend less time preparing for and attending classes, there is little incentive for professors to try and foster more open discussion. For Rohl, the answer lies in professors and teaching assistants providing a level playing field during discussions. Having a viewpoint counter to the norm can be difficult enough without discussion leaders taking a definitive stance on complicated classroom issues. Rohl said she has had professors who have been very even-handed but also some who go to lengths to demonize conservatism and any viewpoints associated with it. She said in these cases the professor is clearly discouraging open discussion by presupposing conservatives are in the wrong. “If professors aren’t just bashing one side and encouraging that diversity of thought, that can help,” Rohl said. 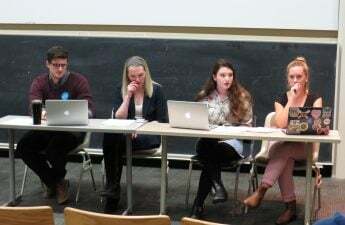 Clara Hoff, a junior studying Spanish and international studies and a member of College Democrats, said she has also heard from her conservative peers that they often self-censor. She said making sure liberals don’t come across as hostile or self-righteous when discussing issues with conservatives is a good way to alleviate the pressures some conservatives say stifle their voices. Hoff, like Rohl, believes intellectual diversity is an important concern in academia, but said she is more concerned with attacks from state legislators aimed at faculty. Like in the case of The Problem of Whiteness, a UW course attacked by a Rep. Dave Murphy R-Greenville who argued the instructor’s goal is to paint all white people as racist. “I don’t think a platform should be given to hateful language on this campus.” Cody Fearing “I think it’s important for students to be challenged, especially college-aged students who are forming their own opinions outside of their hometowns,” Hoff said. More and more, universities like UW continue to make strides to please their students in what Zimmerman sees as the increasing commoditization of higher education. Zimmerman said this has led to an increase in administrators and the proliferation of speech codes, explicit or otherwise, inside campus conduct policy. Zimmermann said these speech codes can stifle debate. But many students don’t seem sold. 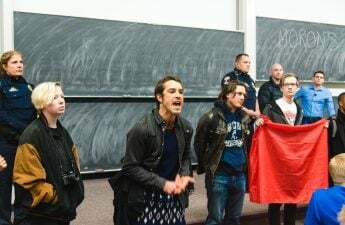 Last semester students, including Fearing, protested a lecture from the controversial conservative speaker Ben Shapiro. Fearing said UW shouldn’t have even allowed Shapiro to speak on campus in the first place. “I don’t think a platform should be given to hateful language on this campus,” Fearing said.